21.861 AC ON THE CORNER OF HWY 37 AND TIMBERLANE DRIVE IN THE CITY LIMITS OF GREENSBURG. CREEK RUNS THROUGH THIS BEAUTIFULLY WOODED PARCEL OF LAND. 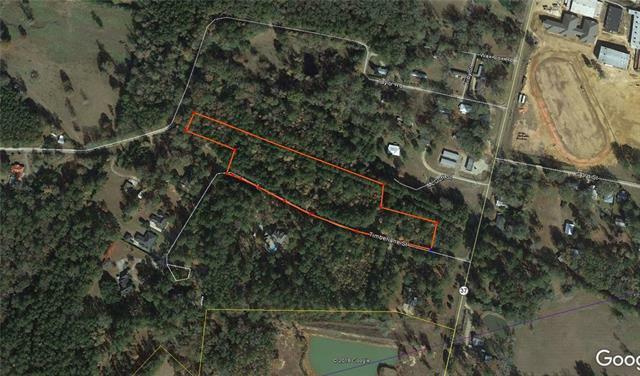 MANY OPTIONS EXIST FOR THIS LARGE PARCEL OF LAND. BUILD YOUR PERFECT WEEKEND GET-AWAY, DREAM HOME, BUSINESS OR SUBDIVIDE AND DEVELOP. POSSIBILITIES ARE ENDLESS. Listing provided courtesy of Jennifer A Dinser of Latter & Blum Classic Homes.